Welcome to The Cover Contessa's stop on The Hit List blog tour! We welcome Nikki today for a guest post! Music has been a huge part of my life since I was young. It’s my go-to when I’m sad, mad, happy, or pretty much any emotion. It energizes me, brings me up, celebrates with me, and motivates me. Sometimes it can say everything I’m feeling that I can’t put into words. Even though my favorite bands have changed over the years and songs have taken on new meanings as I’ve gotten older, one thing has remained constant: music brightens my life. It’s no surprise then that music is a huge part of my creative process. It influences every part of my writing. I can’t put words on the page without it. Before I even start a project, I make a playlist in iTunes to get a feel for my characters. My main characters and my major secondary characters all have songs that represent them which means my playlist can end up pretty large by the time I’m done (to give you an idea, THE HIT LIST playlist has 361 songs). Music was an especially big part of THE HIT LIST because of the dance element. Without my playlist, this book would have been so different from what it is. The songs I picked allowed me to get inside my characters’ heads and really feel what they were feeling. Because of that, the themes for the dances coincide with the plot and what Sadie and Luke feel and experience at that specific time. I was essentially choreographing these dances in my head as I was writing them to make them realistic and easy to understand for anyone without a dance background. I needed music that was conducive to that so if a song didn’t speak to me for that specific dance, I moved on until I found one that did. I hope this playlist will give readers more insight into Sadie and Luke’s relationship as well as Sadie’s relationships with others close to her. 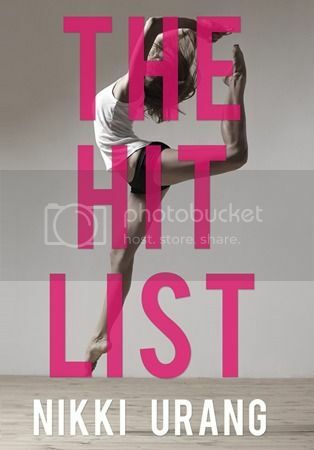 I’d rather not spoil anything for readers, so I’m not going to tell you which songs I used to choreograph dances to or which songs are for which characters, but once you’ve read THE HIT LIST, it shouldn’t be too hard to guess. Enjoy! Nikki fell in love with books at a young age and looked forward to reading a book with her mom before bed every night. It was only a matter of time until her love of reading turned into a love of putting those words onto the page. Now, her days are spent helping those overcoming opiate addiction and her nights are spent writing. She lives in Minnesota with her husband and two stubborn cats.